MOTIVATED: Robert Dickison and partner and trainer Bernice Fitzgibbon urge others to push themselves a little in whatever activity they love. ROBERT Dickison and his partner Bernice Fitzgibbon are "pretty passionate" about health, fitness and "ageless living". That's why Robert has set the goal of running 1000km of races in his 75th year, from January 31, 2019 to January 31, 2020, in what he calls Project 75. And Bernice, 66, is not just his cheer squad and organiser but his trainer, motivator and one-woman crew. 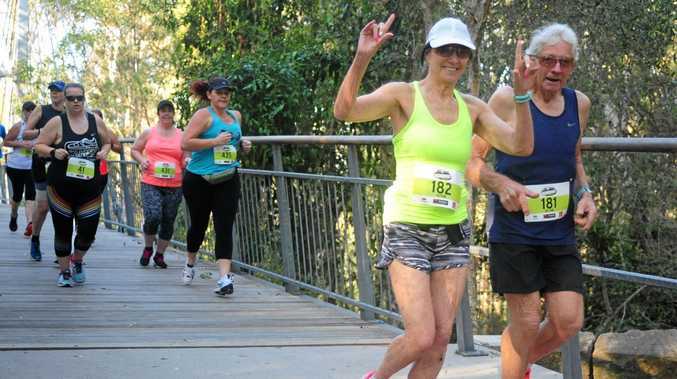 They hope Robert's feat, which includes what is being labelled the world's toughest trail race, the inaugural Ultra-trail Gold Coast 500km through Nerang State Forest, will inspire others to keep fit or get back in shape. "Our biggest concern is the level of obesity we see today," the Kiwi, now a Southport local said. While he's not expecting everyone, or indeed anyone, to go to his lengths to stay fit (running out the door at 4am), he believes it is important to keep active and push yourself. "Do anything you enjoy - if you enjoy walking, walk a bit further tomorrow," he said. "The problem is motivation; it's so much easier to just sit down." Robert is also a big believer and participant in ParkRun; free 5km timed events throughout the Coast, where he has seen people start as walkers and often within months or a year start running. "It's not a race, except against yourself, just seeing how much you can improve, and it's a real community-type thing: it's the best thing to hit Australia," he said. "I've met so many wonderful people through the running community." Robert said he and Bernice, together for about 28 years, had "always been runners", with Robert having competed for about 50 years and Bernice also keen on the gym to maintain fitness and flexibility. A registered nurse, she has helped Robert set out a training program to improve his speed and endurance, including hill-runs to build cardiovascular and muscle strength, as well as focussing on his mental strength. His first test will come at the Caboolture Dusk to Dawn on February 9. Competitors run from 6pm on Saturday to 6am on Sunday morning, logging as many kilometres as they can over the 12 hours. "I'm going to use that as a bit of a gauge to my fitness," Robert said, adding that he hopes to cover about 80kms. After that, definite races include New Zealand's Northburn 100-mile (160km) Trail Race in March, bearing the tag line "you don't race it, you survive it", the Gold Coast 100km Super Marathon and September's 500km Nerang challenge over six days, including 18km of elevation. Robert said he had run a six-day race many years ago, and you needed the mental strength and the right strategy to keep going, including "always get an hour or so of sleep at midnight". 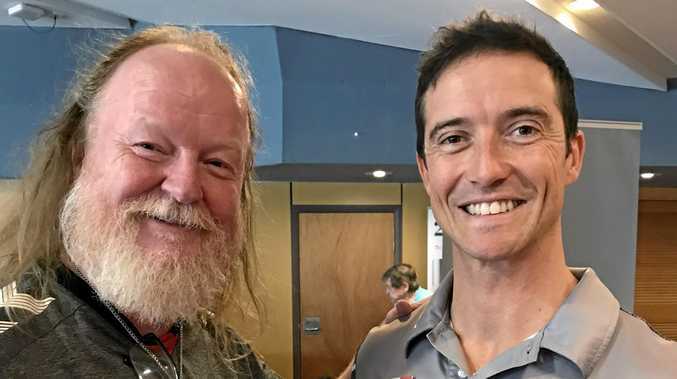 "I think I'll be the oldest tackling that one," Robert laughed, having already been confirmed as the oldest runner by about 10 years in June's Super Marathon. While Victory Sports Robina and Pogo Physio have come on board, Robert hopes for other sponsors to help with his additional nutrition needs, event travel and entry costs. His mantra is "life, is either a daring adventure or nothing, so make it count". You can contact Robert through mojorunners@gmail.com or phone 0406 452 151. To find out more about ParkRun, go to parkrun.com.au or call Gold Coast Council for details.